How’d you like to stay here overnight? At the Hollywood Forever Cemetery, that is. Even though I’ve lived in Los Angeles for over 20 years, I’m still all about being a tourist in the city, exploring it anew, taking staycations, snapping pictures of all the neat stuff. Airbnb LA is throwing an event that promotes that same mindset. For Hello LA, the company asked five celebrities to pick L.A. venues and design pop-ups indicative of their style. From Friday, September 27 to Monday, September 30 folks can see how Anjelica Huston, Molly Sims, Moby, James Franco and Lake Bell and Robin Bell celebrate the city. There will be events for those three days around the pop-ups, like a silent disco at the Viper Room featuring the music of Daft Punk and LCD Soundsystem, an Arts District Salon downtown and a harvest dinner in the Cook’s Garden by HGEL. A few events are open to the public, while others require an RSVP. But that’s not all. There’s a contest where the winners will get to stay at one of these venues in a pop-up bed situation designed by those celebrities. Here are the deets of each one. Anjelica Huston’s The Cook’s Garden by HGEL Pop-Up: Learn how to garden and then hit the sack in the pop-up garden bedroom. Moby’s Viper Room Pop-Up: Ever fall asleep in a music venue? OK, if you’re a hard-core nightlifer, you know how uncomfortable that can be. But for this pop-up, Moby will make it nice and cozy for you. James Franco’s Hollywood Forever Cemetery: Leave it to James Franco to pick a cemetery for you to fall asleep in. Damn you, James Franco! On one hand, it sounds kinda cool. I mean, when will you ever do that again? But on the other hand? CREEPY! Lake Bell & Robin Bell’s Arts District Pop-Up: Ooh, a downtown salon sounds like a stylish way to pass the night. Crash in the Bells’ pop-up after taking in some art, noshing food truck fare and exploring DTLA. Molly Sims’ The Grove Pop-Up: Party it up at this fancy Mid-City West mall and pull some Zzzs in a undoubtedly stylish bedroom by model Molly Sims. 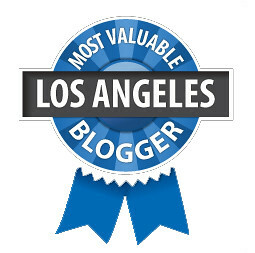 To enter the contest, click here and then in 10 words or less in the comments describe why you love Los Angeles. Easy peasy! The five best answers win! Good luck!